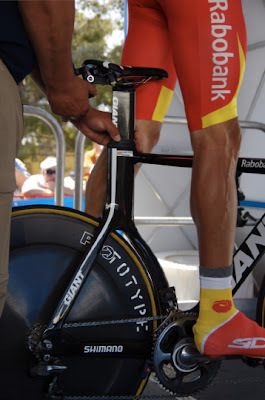 We have been lucky as fans to enjoy a number of pro time trials lately. 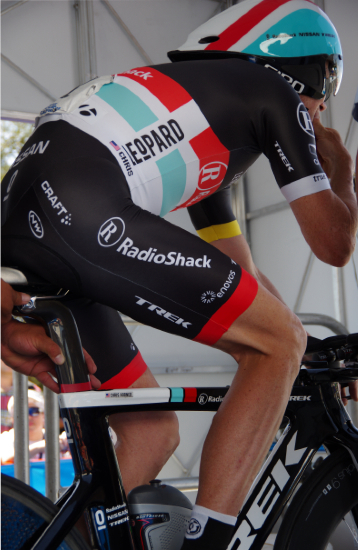 This past weekend we saw the final time trial of the Giro d'Italia decisively determine the winner - Ryder Hesjedal. 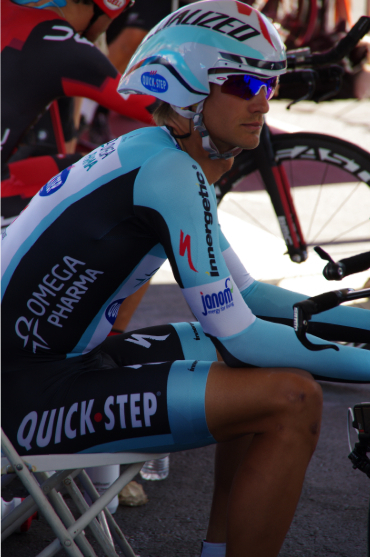 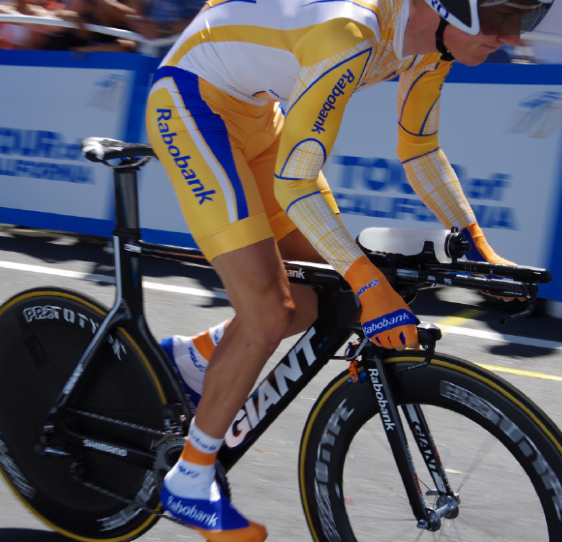 We also heard of a new time trial champion at the USA Cycling Professional Championships - David Zabriskie. Two weeks ago I was in California sweltering in the heat of Bakersfield watching the individual time trial of the Amgen Tour of California, David Zabriskie also won that day. 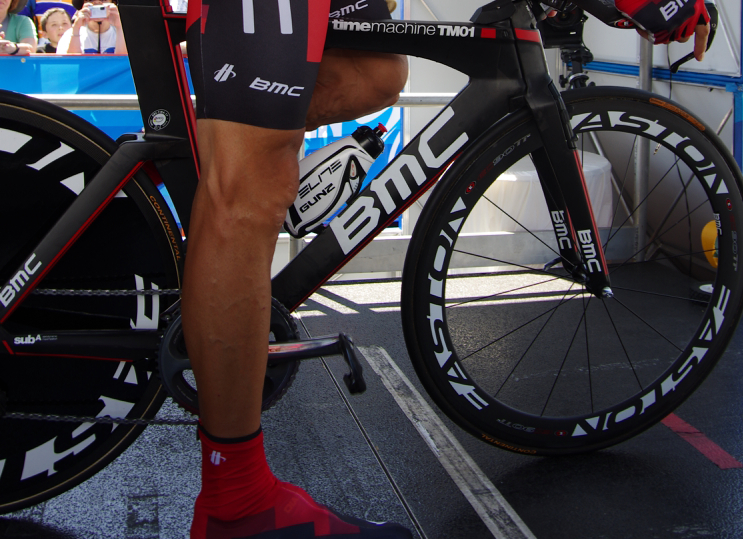 The winning time of Marco Pinotti in the final time trial of the Giro d' Italia, averaged 31.8 mph over 14.2 m/s. The average time of David Zabriskie in Bakersfield at the ATOC was 30.77 over 18.4 miles. Last Saturday Dave Zabriskie defended his US National Champion Time Trial title for a 7th time with an average speed of (49,13km/h) 30.53 mph over 20.7 miles in Greenville, South Caroline. 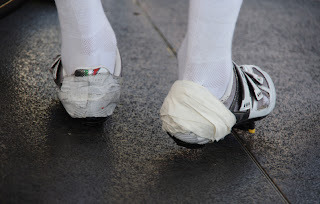 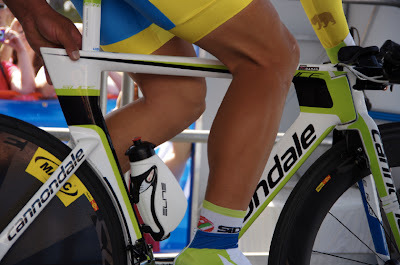 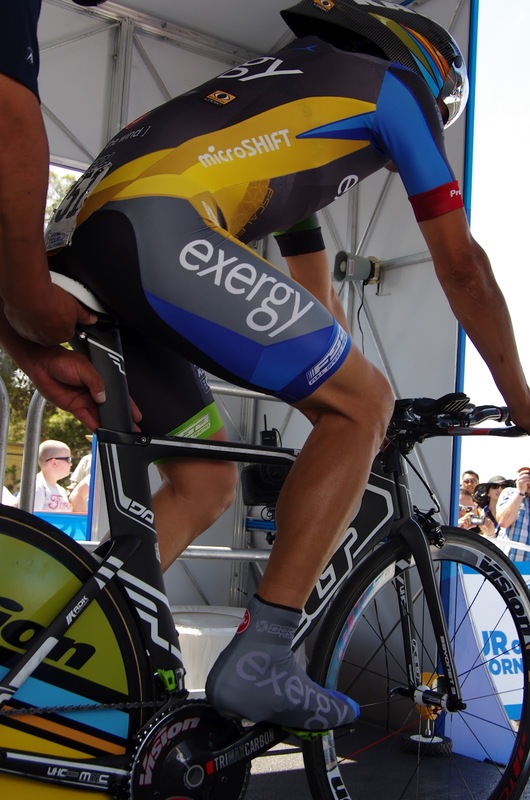 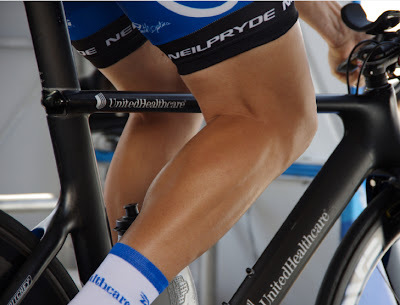 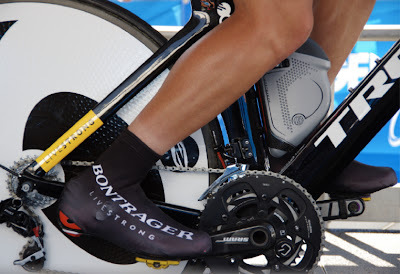 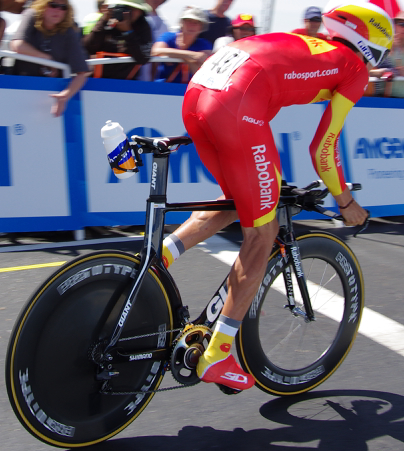 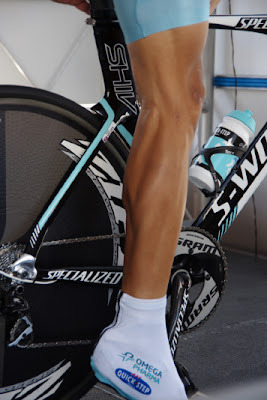 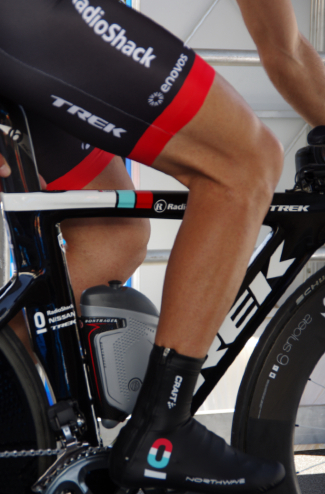 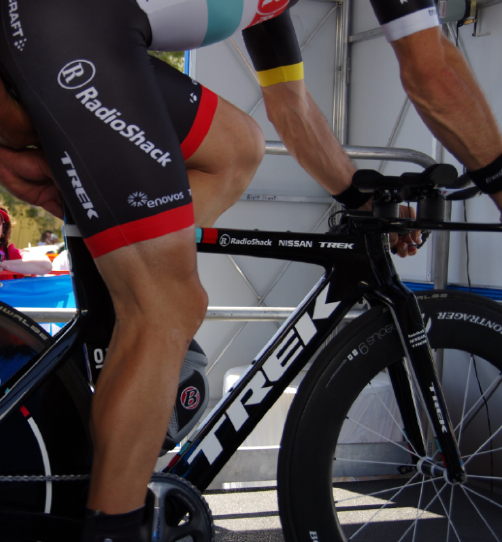 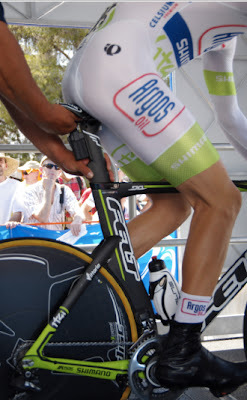 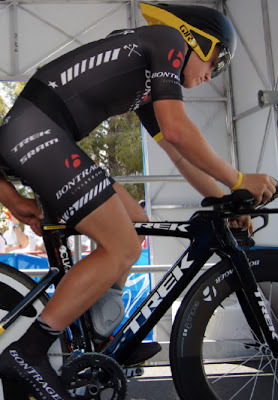 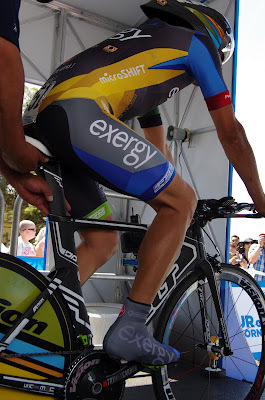 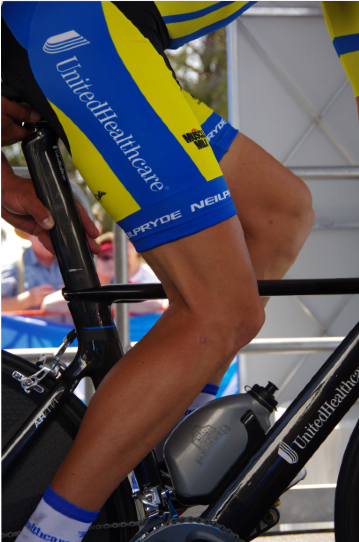 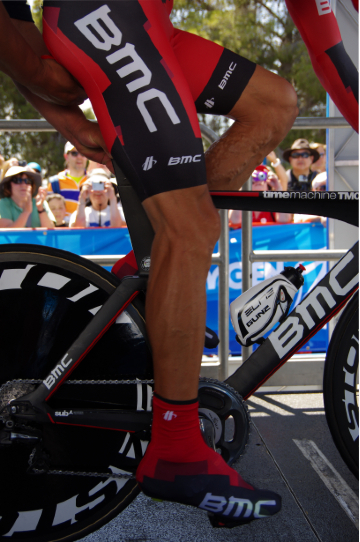 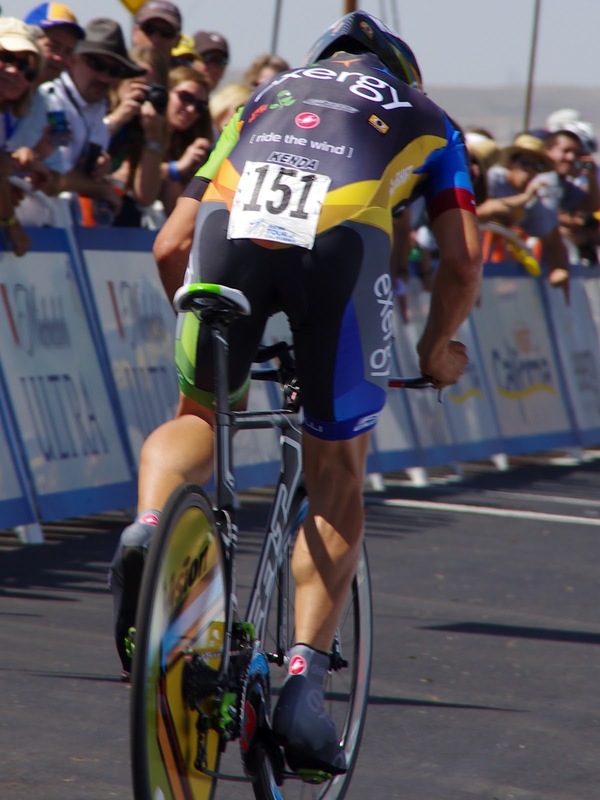 I wanted to create a picture collection of the legs of some of the final men to take to the start ramp on the individual time trial day of the 2012 Amgen Tour of California. 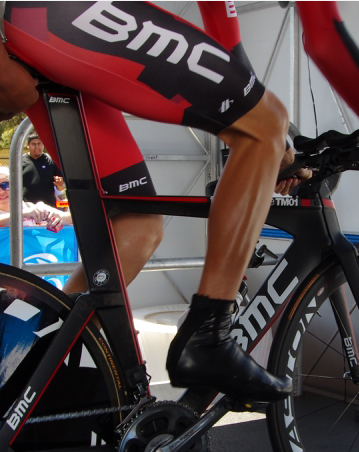 Being a member of the Media afforded me a front row seat to study the legs of the men who powered those incredible time trial machines. What made this time trial unusual was that the stages leading up to the time trial stage had been won by sprinters. 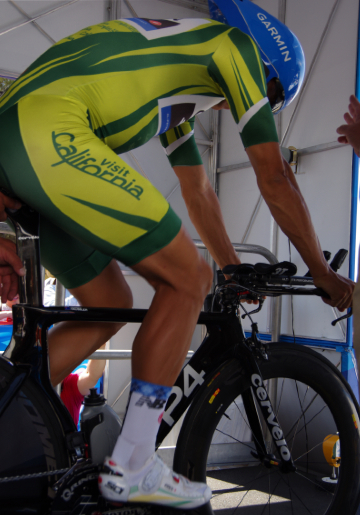 Rider startlist for time trials are always in reverse order of the current standings. So the Bakersfield ITT saw a progression of riders line up in order of the slow twitch GC contenders followed by the fast twitch powerful legs of the sprinters, because the sprinters had been top 10 in the preceding stages. 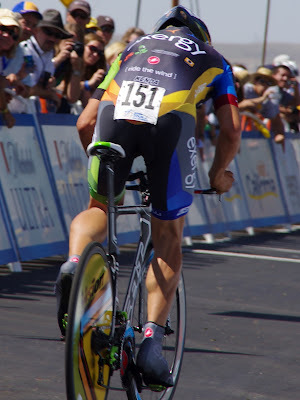 Basically we went from the climbers to the sprinters in the Bakersfield ITT (typically ITTs see the climbers/all-rounders going last). Answer: the above legs are Tom Boonen's !